I received a comment last week asking for me to write more about query letters. So, I took a day or two to think about what I had to offer on this topic. What do I have to contribute that is not already available to you? I'm no expert on query letters. I have sent out 77 queries, received 32 rejection letters and one request for full. My query letter has changed a countless number of times and is still being critiqued and altered all the time. To be honest, even after all of this, I still feel like I have no clue what I'm doing. So, here's what I can offer: support. Let's face it, this is a lonely business. And you already have plenty of people out there who will tell you what you are doing wrong. I've made plenty of mistakes, and I think I have learned from them. I could give you that. We're running in the same race so we might as well team up. So, here's my idea. Each Tuesday, I will share something I've learned or experienced with the query letter writing. I'd like to really get the conversation going. I don't want to talk at you, but with you. In fact, I'd like to hear from you as well. Maybe we can get a link-up going, or guest blogs. If nothing else, leave me some comments so that we can work up a discussion. You learn from me, I learn from you. And at the very least, we can commiserate together, share some war stories and enjoy the camaraderie that is query letter misery. What do you think? 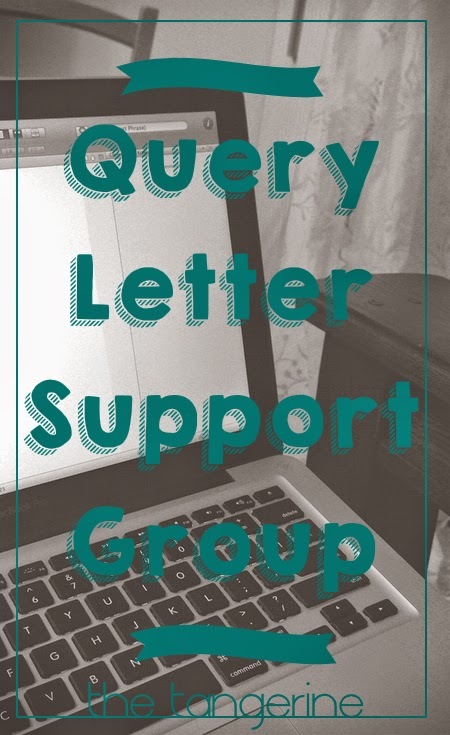 Would you like to join the Query Letter Support Group? I would love to join the support group and learn more. I'm not ready for that stage yet, but I think learning everything I can would be helpful! :) Count me in! Love love love this! Can't wait to read more! Yay for your request for full!! That's awesome! !